Lightning Network: What is it and How Can it Help Blockchain Technology? The Lightning Network is essentially an attempt to solve the scaling problem for cryptocurrencies, primarily, Bitcoin. Many proposals have been put forth in order to solve the Bitcoin scaling issue, and the Lightning Network is one of the most popular. In the future, the Lighting Network could become very heavily used if it ends up solving the Bitcoin scaling issue. Because Bitcoin has grown so rapidly, increasing from a price of just 5 cents in 2009 to roughly $16,500 in December of 2017, scaling has become a major issue. The Bitcoin protocol has a limited block size of only one megabyte per block. This means that only about 7 or fewer Bitcoin transactions can be processed per second. As a comparison, Visa can process over 1,600 transactions per second, and PayPal can process around 193 transactions per second. Even Ethereum, a competitor of Bitcoin can process 20 transactions per second, which is nearly triple what Bitcoin can do. So, in terms of competing payment systems, Bitcoin is actually very far behind when it comes to scaling. The reason why this problem exists is either because the original creator of Bitcoin, Satoshi Nakamoto did not anticipate the massive amounts of Bitcoin transactions that would eventually take place, or because he simply figured that a solution would present itself as time went on. The Lightning Network could be the exact solution that he might have anticipated. However, regardless of what Satoshi Nakamoto’s motivations were for creating the block size limit of one megabyte, it is definitely a problem, and it is only likely to get worse as more and more people start using Bitcoin regularly for transactions. How can the Lightning Network Help? 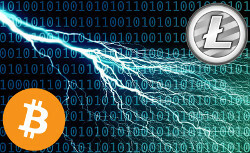 The Lightning Network can help the Bitcoin scaling problem by allowing Bitcoin transactions to be made off of the Bitcoin blockchain in a way that is both secure, efficient, and that does not disturb the blockchain. This dramatically increases the amount of Bitcoin transactions that can occur per second. In fact, it is estimated that the Lightning Network could potentially increase the amount of Bitcoin transactions per second to millions, or even billions. So, hypothetically, the Lightning Network could solve all of the scaling problems of Bitcoin and potentially even make Bitcoin transactions much more efficient than even Visa transactions. This could prove to be instrumental to the continued progress of Bitcoin. After all, if hundreds of millions, or even billions of people start using Bitcoin, then many transactions must be able to be processed every second to prevent slow transaction times and high fees. The Lightning Network works by creating a network that enables Bitcoin users to make a series of Bitcoin transactions that happen off of the blockchain. However, at a certain point, the blockchain is updated to reflect all of the transactions that have taken place. So basically, the Lightning Network allows Bitcoin users to make Bitcoin transactions at “lightning” speed. The Lightning Network is a brilliant invention, and it adds an extra layer of power to the Bitcoin network. However, it is still very secure, and requires the approval of both end users on each transaction to give their approval for the transaction. If approval is not given, then the transaction does not go through. To imagine the increased power that the Lightning Network provides, imagine trying to lift a fifty-pound stone with your hands. This represents the slow and inefficient way that Bitcoin transactions are done today. Now, imagine trying to lift that same stone with the help of a massive crane. The crane represents the Lightning Network. The Lightning Network has the potential to add an unprecedented amount of efficiency and speed to the Bitcoin network, and it could be a complete game changer for cryptocurrencies in general. Many other cryptocurrencies could potentially use the Lightning Network as well. What Will Happen if The Lightning Network Reaches Full Adoption? If the Lightning Network is completely adopted by Bitcoin, and by other cryptocurrencies, then it a number of important things could happen. The first is that Bitcoin could overtake all other payment systems as the one that has the best scalability, and the greatest processing power. If this happens, then it could cause even more people to flood into Bitcoin, as the scaling issue has been a cause for concern with Bitcoin, and has even contributed to Bitcoin hard forks, such as Bitcoin Cash. If Bitcoin’s popularity soars due to a successful Lightning Network implementation, then its price could potentially go significantly higher. Another factor that could contribute to a price rise is the fact that there is a steadily dwindling supply of Bitcoin being produced. Only 21 million Bitcoins will ever exist and roughly three quarters of them have already been mined. Generally, as supply decreases and demand increases, it results in higher prices. Another thing that could occur if the Lightning Network becomes popular is a significant decrease in the fees associated with making Bitcoin transactions. This is because with the Lightning Network, transactions can be made off-blockchain, which means that miners will not have to be paid to validate the transaction. They will only have to be paid to validate the end result of the transactions that occur for specific units on the Lightning Network. This can drastically reduce costs. Perhaps the most important change that could take place if the Lightning Network is fully adopted is that people all around the world who use Bitcoin will not have to wait ten minutes or more for all of their Bitcoin transactions to go through. This means that Bitcoin could become a more reliable and preferred transaction method for big businesses who operate on tight schedules. There is a big difference between having a transaction validated in ten minutes vs. a tenth of a second, and this difference could impact many people. The Lightning Network is just one of many proposals that have been put forth to solve the Bitcoin scaling issue. So, the Lightning Network faces competition from other ideas. One of the Lightning Network’s most serious competitor’s is Segwit2x. Segwit2x was a proposed Bitcoin hard fork that would result in a new version of Bitcoin with larger block sizes. The Segwit2x block sizes would be 2 megabytes instead of just 1. Some people in the Bitcoin community prefer this solution. However, even a doubling of the block size would not make Bitcoin as scalable as the Lightning Network would. However, in the end, SegWit2x did not have consensus and wasn’t implemented. Complexity is another issue that could be a potential challenge to the lightning network. The Lightning Network is completely proprietary, and that means that there could be some unforeseen mathematical and technical problems that arise if it is attempted to be implemented. There is a strong core of developers working on this issue. However, the Lightning Network is complex by nature, it is remains to be seen how much this complexity will impact the adoption of the Lightning Network. Another key problem that the Lightning Network could face on its journey to full adoption is opposition from Bitcoin fundamentalists who believe that no changes should be made to the original Bitcoin protocol. Many of these people argue that the Bitcoin protocol has been extremely successful thus far, and it should not be changed at all. Considering that Bitcoin is rapidly approaching a price point of $20,000, it is somewhat difficult to argue with these people. But despite the fact that the Lightning Network could face strong opposition, a large number of people in the Bitcoin community will have to support the Lightning Network if it is going to become the preferred scaling solution. If not, then its progress could be completely halted. Time is also something that works against the Lighting Network, because as more and more time goes on it is possible that yet another scaling solution will be created that could make the Lightning Network obsolete. 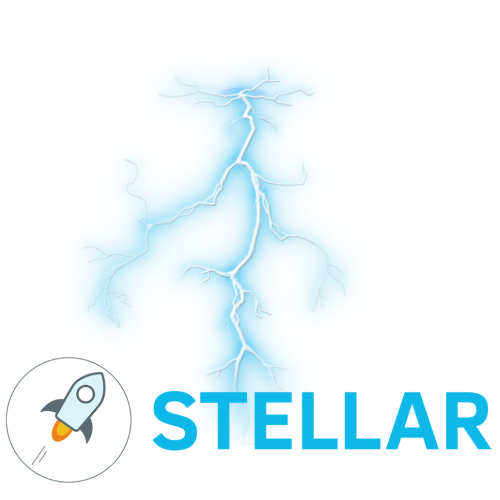 The Lightning Network has the potential to dramatically change the cryptocurrency landscape and to make it much more appealing to outsiders who have not gotten into cryptocurrencies yet. After all, it is easier to sell people on a one second transaction time than it is to sell them on a transaction time of ten or more minutes. Faster transaction times can help individuals, businesses, charities, and even governments if governments one-day start using Bitcoin or other cryptocurrencies for various types of transactions. However, many governments have shown a hesitancy to deal in cyptocurrencies. That is probably because doing so could make their own national currencies appear weaker or inadequate. The Lightning Network is one of several key breakthroughs that could have an extremely positive impact on the Bitcoin protocol. Atomic swaps, which let people instantly convert their cryptocurrencies into other cryptocurrencies is another major breakthrough. 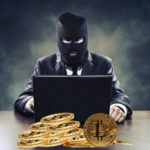 Atomic swaps have already begun to be used by members of the cryptocurrency community. However, the Lightning Network is farther behind on its trek towards full adoption. It has many obstacles get through first, before it can arrive at this destination. When Will The Lightning Network Be Released? It is expected that the Lightning Network could be ready for public use very soon. In fact, it could go live within the next few months. Production for the Lightning Network has been underway since roughly September 2016. However, the software has been developed, and all of the kinks are being worked out. This means that full scale Lightning Network adoption is possible for the year 2018. There are many in the Bitcoin community who believe that this will be one of the most significant steps forward for Bitcoin since its inception in 2009. There are currently about 350,000 Bitcoin transactions that take place every single day. However, if the Lightning Network goes live, then this number could be dwarfed by the amount of transactions that start happening on a daily basis. The speed of transactions from the Lightning Network could incentivize many more merchants to accept Bitcoin, resulting in an increased mainstream adoption rate of Bitcoin. If the Lightning Network does, in fact, go public and catch on, then 2018 could be a very significant year for the progression of Bitcoin and any other cryptocurrency that supports a Lightning Network. 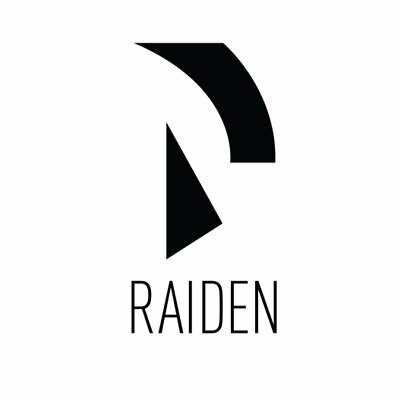 What is the Raiden Network and How Will it Affect Ethereum?